FONDA, NY – The Andy’s Speed Shop King Of Dirt Racing Sportsman Series presented by Dodson Construction was set to open the season at Fonda Speedway, but cold temperatures combined with on and off rain has forced the cancellation and subsequent reschedule. The Clash Of Champions KOD Sportsman event will not take place July 14th. 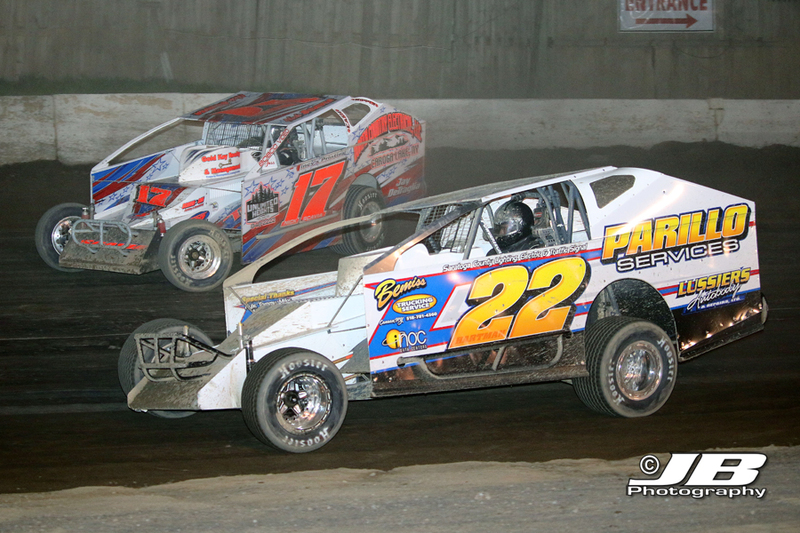 The first two KOD Sportsman shows have been cancelled and postponed, with the most recent at the Fonda Speedway. Weather moved in over night and began showering the Mohawk Valley in the early morning making the grounds at the track a little wet. Coupled with the rain was a forecast, which called for a chilly day. These factors combined would’ve made for undesirable conditions for race teams, drivers, and fans alike. “It was a good call considering the weather. Everyone wants to get racing going and I get that, but the spring weather this year has been miserable. Nobody wants to sit in 40-degree weather, wet, and with wind. We appreciate Pete and the team at Fonda working out a rain date so we could get that info to the teams and fans in a timely manner,” said King Of Dirt Racing promoter Rob Hazer. The rain date for the Clash Of Champions KOD Sportsman event at Fonda Speedway is Saturday July 14th, which will give fans an added bonus considering it’s Palmer’s Service Center night along with kiddie rides. Many teams coming in from out of the area can take advantage of the opportunity to make a child’s day. Along with kiddie rides, Palmer’s Service Center night, and the KOD Sportsman Clash Of Champions on July 14th fans will also notice the Dirt Rush video crew in house shooting the Chad ‘Lunchbox’ Edwards episode for season two. Edwards will also be signing autographs in the stands prior to the events along with another driver to be determined. For now the focus shifts to the Devil’s Bowl Speedway in Vermont where the KOD Sportsman Tour will kick off the 2018 season on Sunday May 27th along with the SCONE 360 Sprints and a full program of racing. Last season the aforementioned Chad Edwards survived a wild one to claim his first career KOD tour win. This season all notes from 2017 are thrown out the window, as track promoter and owner Mike Bruno has put brand new clay down and reconfigured the track to the old ½ mile speedway. It’ll be an all out memorable Stars N’ Stripes battle Sunday May 27th at the bowl. 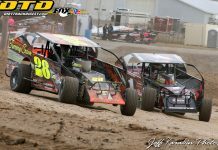 “Mike and his team do a great job at making everyone feel welcome at Devil’s Bowl. This year there’s a lot of buzz around the KOD events in the green mountain state and as the weather would have it, we’re going to get this party started on neutral territory,” concluded KOD promoter Rob Hazer. 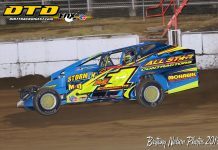 At Devil’s Bowl Speedway the fans will also be treated to an autograph session prior to racing events with King Of Dirt Racing Sportsman standout David Schilling. The ‘showstopper’ got his first career win in the green mountain state back in 2016 when the tour visited Bear Ridge. David will sign along with a fellow competitor and bowl regular Joey Scarborough. 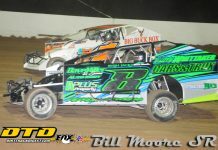 For more information on King Of Dirt Racing visit www.kingofdirtracing.com and stay up to date. Also you can find KOD on Facebook, Twitter, and Instagram. KING OF DIRT RACING is brought to you in part by sponsors and partners that include: Albany-Saratoga Speedway, Devil’s Bowl Speedway, Glen Ridge Motorsports Park, Lebanon Valley Speedway, Utica Rome Speedway, Andy’s Speed Shop, Beyea Custom Headers & Exhaust, Bicknell Racing Products, Bill McGaffin Photography, Boss Mechanical, Bruno’s Towing & Recovery, Crane’s Outdoor Power Equipment, DKM Fabrication, DMC Racing Products, Dodson Construction, Elmo’s Speed Supply, Extreme Speed & Performance, Fast Axle, Fastline Performance, Flach Performance Products, Fox Racing Shocks, HICO Fabrication, Herrington Farms Inc., Hoosier Racing Tire, Jay’s Lawn Care & Landscaping, J-Tees Screen Printing, Killer Crate Engines, Lebanon Springs Excavating, Mayhem Motorsports, Mueller & Sons Towing/Recovery, NAPA Auto Parts Of Gloversville/Johnstown, R3 Graphics, Race Pro Weekly, Redline Graphics, Saratoga Masonry, Simplicity Designs.